Curmudgeonly & Skeptical presents Boned Jello: What Don't You Forgive John McCain For? What Don't You Forgive John McCain For? 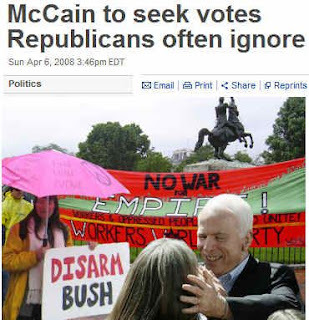 What I remember J. McCain for is trashing Sarah Palin. Sarah Palin rescued is moribund candidacy from the grave. She infused the Republican Party with energy! But, alas, McCain couldn't follow-through. He wouldn't trash Barack Hussein Obama and he wouldn't talk bad about his politics. In the end, he wasted ALL of our time and energy for a do-nothing Republican campaign. John McCain, Jack Kemp and Hugo Chavez. Gun Owners of America on McCain's Record. McCain Group Got Big Cable Donation Breath taking corruption, Senator! MAFIA, EMPRISE, DELAWARE NORTH, DON BOLLES, BRUCE BABBITT, BILL CLINTON...AND JOHN McCAIN? McCain married into the mob. 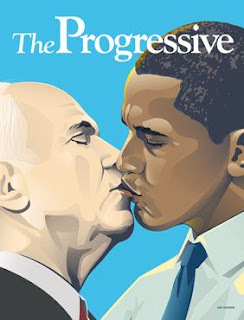 SEN. JOHN McCAIN: THE ULTIMATE "RHINESTONE HERO"
John McCain: George Soros' Useful Idiot? Promising Vote on Global Warming - "But Mr. McCain, as we know, does not give up easily. ... He promises to be just as tenacious on this issue." Billboard owner bars ad targeting McCain Viacom refuses anti-Amnesty billboard because it bashes McCain. His staff set up policy think-tanks and other groups to lay the ideological foundations for another third-party challenge in the Bull Moose style. The Real McCain Record Obstacles in the way of conservative support. "Why don't you shut your political pie hole?" "1606 is needed because federal courts have ordered the Federal Election Commission to regulate "electioneering communications" on the Internet because of the Bipartisan Campaign Finance Reform Act (McCain-Feingold). If H.R. 1606 fails to become law, your Web site or blog could be shut down for the 30 days prior to a primary election and the 60 days prior to a general election should you express "electioneering communications." McCain doesn't want forgiving for his choices, after all, what has he done wrong? 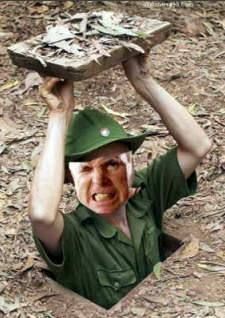 Remember his statement regarding his participation in the dirty dossier, "Anyone who doesn't like it can go to hell," McCain said, adding that he would "do it again. If there were any forgiving to be done, it would be that he didn't run as a Demorat. That man is the devil. "Songbird" McCain gave aid & comfort to our enemy while he was a POW. He is the very definition of a traitor, and should long ago have been stood against a wall and shot after his courtmartial. He has been a disgrace to his family, the US Navy, and America for almost his whole existence. He doomed many MIAs to die friendless and alone in faraway lands, and for families to be deprived forever of the remains of their dead. Like many, I voted for Sarah Palin in that disastrous election where she was the only American patriot on either ticket. 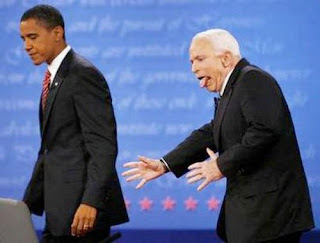 McCain threw that election, and slimed Sarah Palin, who is a far better man than he has ever been. For that alone I'd hate him and his treachery, but that's negligible in the list of his foul deeds. The only thing I want to hear about McCain is that he is dead, and is on the way to his eternity in Hell; that will be a day of celebration, and I'll proudly fly my flag on that great day! Damn dude. That was dark. The list is long & sordid and a number of things come immediately to mind. 2) that fu*king ad he ran with him in a ball cap saying "build the dang wall"